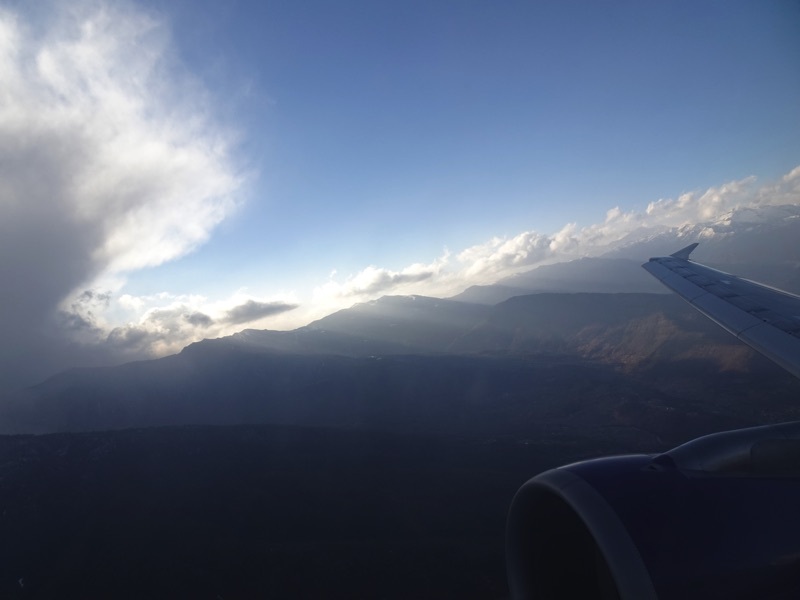 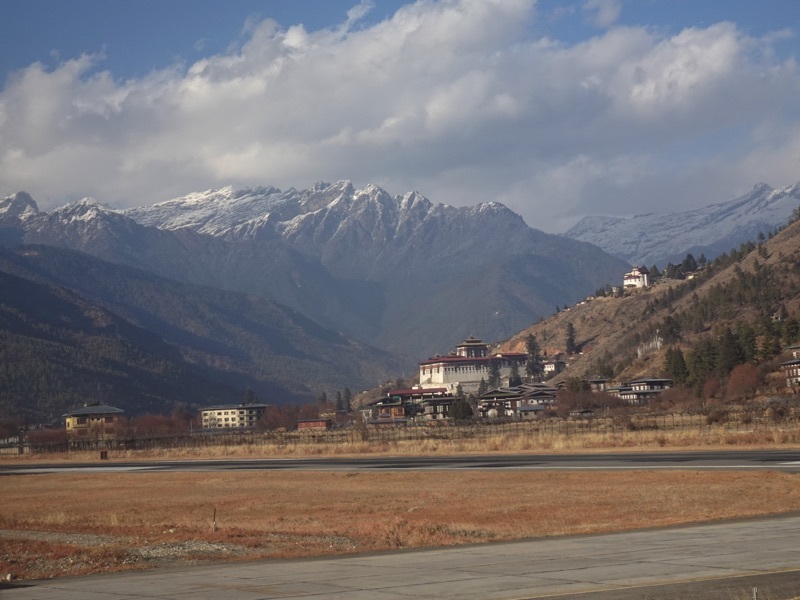 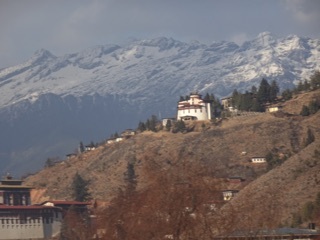 We flew out of the airport in Paro heading towards Bangkok. The approach is probably a pilot's nightmare with the plane corkscrewing to gain altitude in the narrow valley. 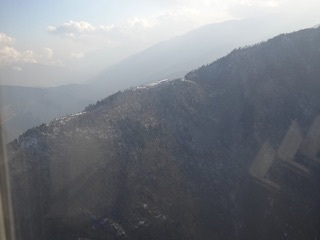 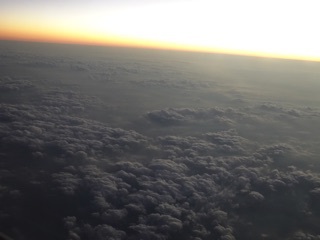 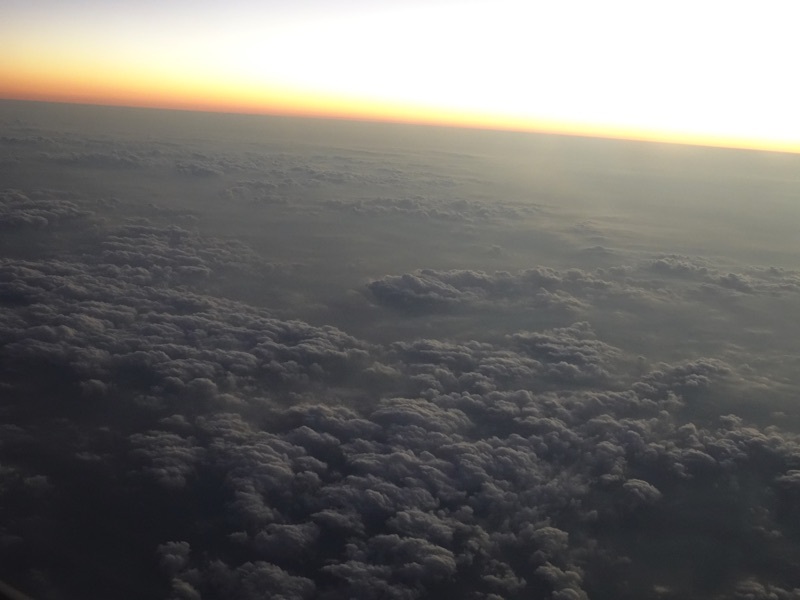 Then we were over the base cloud layer, leaving Bhutan. At an angle - The acceleration threw off our sense of level during takeoff.